260 days Until July 21, 2016 and beyond. This will be for the heart connection Sound Wave to the Galaxies, Star Kingdoms, Planetary Realms, Solar Systems, Inner Earth Realms and Crystalline Core of Mother Earth from the Zero Point as “One and the Same Heart Frequency Sound” via the Sacred Fire, Sacred Water, Sacred Earth, Sacred Spirit Wind and All Divine Dwellers wherever they are in what every form they may BE. This will be shared, co-created via whatever Sound is echoed to you, in the form of a Sacred Music Instrument, Nature sounds, chants, toning etc. The water will carry this frequency for All and will be shared worldwide via a 5 ml. water bottle which has alcohol and some residue of etheric oils from the Divine Mother Water bottle. This Worldwide Project started on Wednesday, November 4, 2015 and will be in the flow until Thursday, July 21, 2016 which is 260 days. It would be wonderful to share a water bottle if you are at special Sacred Spaces or Places or are amidst of Sacred Ceremonies combined with Sound and other Sacred Souls. Be welcome to do this more than once if guidance is calling for this. 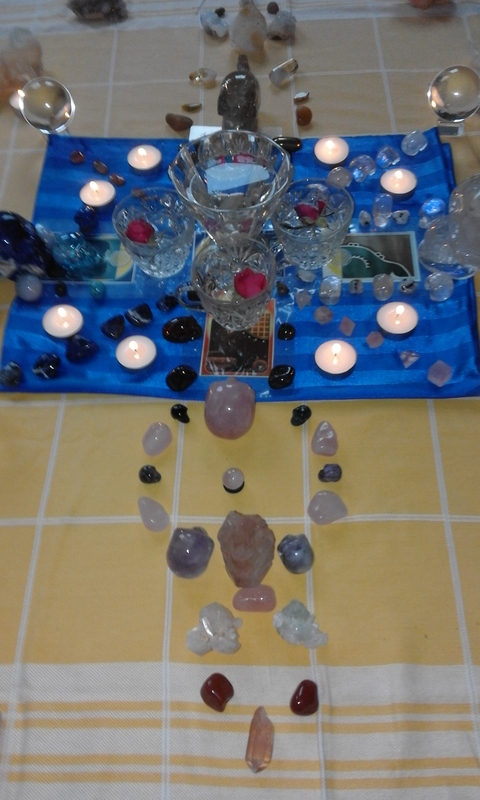 Every 5-day flow (2 days before the Moon and 2 days after) of the New Moon and Full Moon we will have a Sound ceremony at the Center Love Light and will place the Divine Mother Transformational Sound Water Essence Bottle in the Center of a Crystal Grid together with the sounds of Sacred Instruments, Toning etc. here. This can be done with just spring/mineral water, sacred sound instruments, chants or toning or whatever guidance is relating your loving Soul. Of course if called for you could also share your recording via YouTube or Sound cloud like we have done from here today. 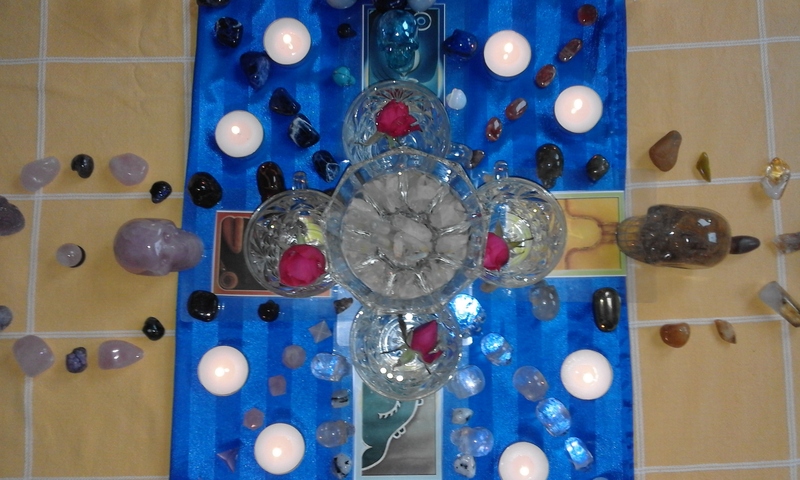 From Center Love Light we have prepared the start of this “Transformational Sound Water Essence” in the early morning hours of Wednesday, November 4, 2015 and will place this in the Divine Mother Transformational Sound Water Essence Bottle after 24 hours and let it resonate in the center of the Crystal Grid or Sacred Medicine Wheel here. Preparation at your own dwelling or open space: After 24 hours you can place the water into clean glass bottle and place it in front of the window sill facing East or leave it outside facing East so that the early morning Sun and the early evening Moon can resonate with it as well. 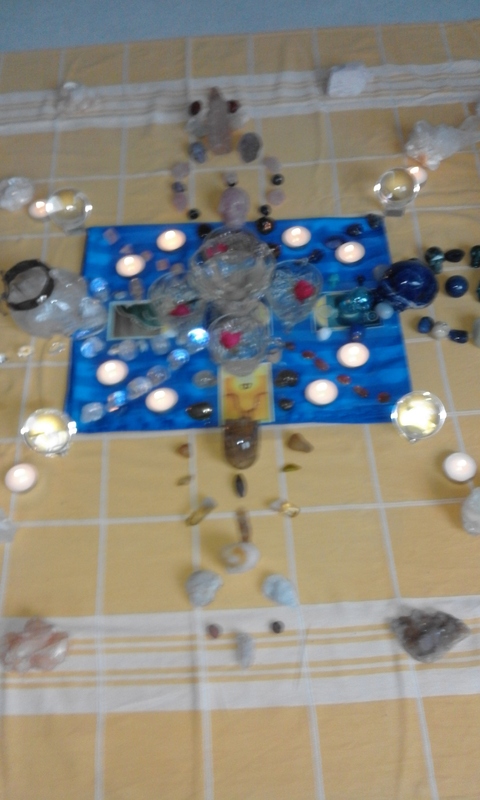 Ask guidance when it is ready to be sent to Center Love Light, Moutmolen 72, 1703 TN Heerhugowaard, The Netherlands. We in return will send a small bottle to your home address. Our suggestion is to place it into a small bottle so that the postage charges will be very low on this sharing. 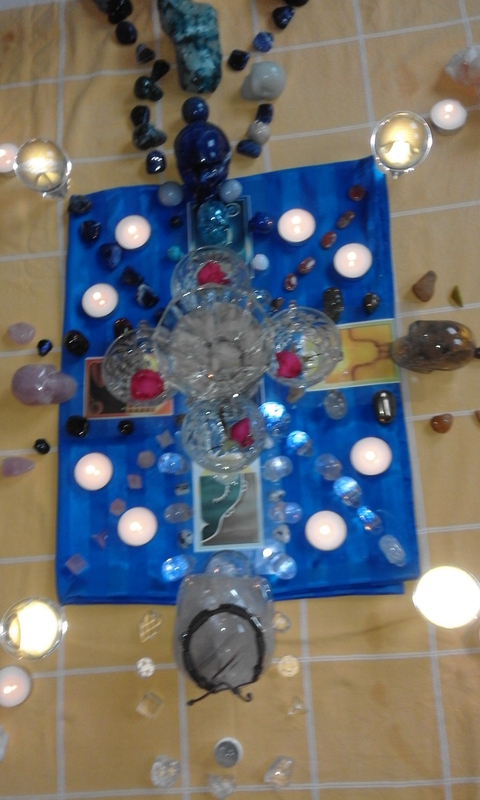 The start of this Sacred Worldwide Heart Project Water Sound Transformational Essence sharing was via a question from Lance Aubrey from Fort St. James, BC, Canada if I could give him some information about the I AM Presence Oil that I gave to him when I was in Calgary, Alberta in 2014. I looked up to see if I could find the file with the extra information and was also taken upstairs to the Crystal Room where the Mother Bottle was still present. 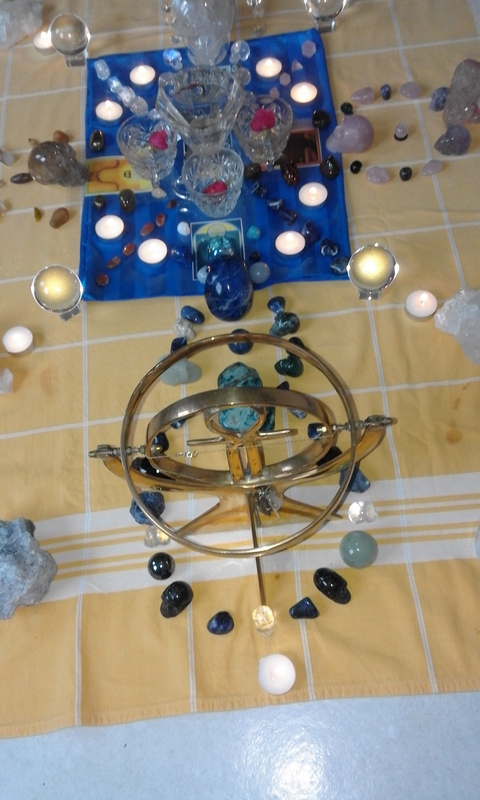 I realized then, just a wakeup call to listen to the signs and symbols that this was part of the 2012 (sharing of etheric oils from woman around the world), 2013 (sharing of crystal water from souls around the world) and 2014 (sharing of Sacred Water from Sacred Places around the world) Worldwide Projects. The Ancient Elder Wisdom keepers, Crystal Elders and various Councils of Light Beings are open channels for us here so right away all the bells were ringing and messages were conveyed. 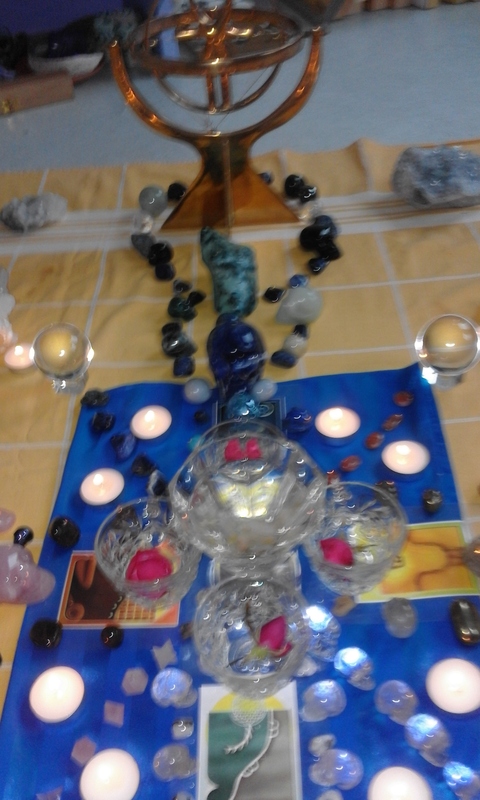 The Start of this World Wide Project “Transformational Sound Water Essence” flow Presence of Wednesday, November 4, 2015 of the Self-Existing Moon of Form. 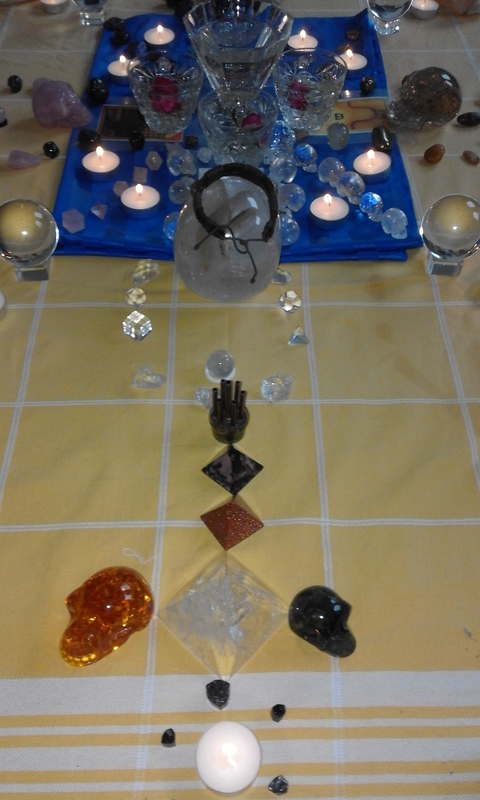 There was already a Crystal Grid or Sacred Medicine Wheel here in the Center but it needed some changes. Allow your awareness to go to the nostrils as you observe your breath going in and out and then to the breath moving in your belly without influencing it just observing. If you are pulled away by other thoughts as the mind often does just with kindness and curiosity return to observing your breathing. Be now in Divine Presence. Allow and surrender to connect with the Transformational Sound Water Essence for inspiration and guidance. From within breathing now in Awareness Presence as you enter the Eastern direction Tzolkin Spiral Movement with the supportive assistance of Sacred Fire Sparks. The Tzolkin code 124:7 UC KAN, Yellow Resonant Seed – Galactic Activation Portal and Blue Spinal Column – Growth and Development of Awakening Awareness in mergence with attunement – Planet Jupiter – together with the Echo of Sacred Sounds, Crystal Elders, Councils of Light Beings, Ancient Elder Wisdom keepers etc. You are now in this spiral movement circle. Follow your breath awareness to allow and surrender whatever comes in such as a situation, person, sound, fragrance, symbols artistic expression of Alignment flow in this Sacred Temple on top of the Pyramid or Sacred Sites or Places – just observe as the sparks of the Sacred Fire passes by. Now breath 7 times deeply in and out. 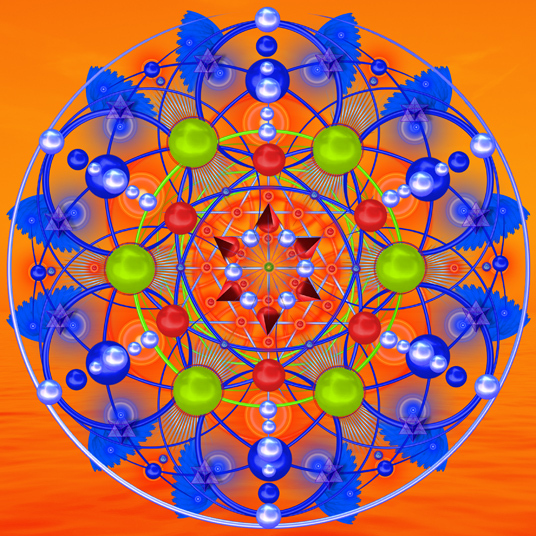 The Tzolkin code 7:7 – UC MANIK, Blue Resonant Hand – the Divine Knowing of Accomplishment and healing – Planet Earth together with the Echo of Sacred Sounds, Crystal Elders, Councils of Light Beings, Ancient Elder Wisdom keepers etc. – just observe as a drops of Sacred Water passes by. You are now in this spiral movement circle. Follow your breath awareness to allow and surrender whatever comes in such as a situation, person, sound, fragrance, symbols or languages of Divine Unconditional Mind flows – just observe as the drop, ripples or waves of Sacred Water passes by. The Tzolkin code 85:7 – UC CHICCHAN, Red Resonant Serpent – Survival of the Life Force of Instinct – Asteroid Belt together with the Echo of Sacred Sounds, Crystal Elders, Councils of Light Beings, Ancient Elder Wisdom keepers etc. – just observe as the petals of the Crystalline Lotus open up. You are now in this spiral movement sacred circle wheel. Follow your breath in and out to allow and surrender whatever comes forward such as a situation, person, sound, fragrance, symbols, languages etc. – just observe as the Sacred Earth embraces the Crystalline Lotus flower petals as it passes by. 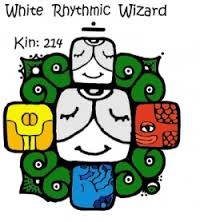 The Tzolkin code 46:7 – UC CIMI, White Resonant Worldbridger – the Equalization via Death and Release co creating Opportunity – Planet Mars together with the Echo of Sacred Sounds, Crystal Elders, Councils of Light Beings, Ancient Elder Wisdom keepers etc. – just observe as the Sacred Spirit Wind breaths. You are now in this spiral movement Sacred circle wheel. Follow your awareness breath in and out to allow and surrender whatever comes forward such as a situation, person, sound, fragrance, symbols, languages etc. – just observe as the Sacred Spirit Wind breaths as it passes by. 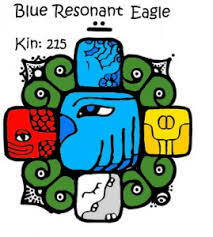 The Tzolkin light code 215:7 – UC MEN, Blue Resonant Eagle – Creating the Vision of Divine Mind – Planet Jupiter together with the Echo of Sacred Sound, Crystal Elders, Councils of Light Beings, Ancient Elder Wisdom keepers etc. 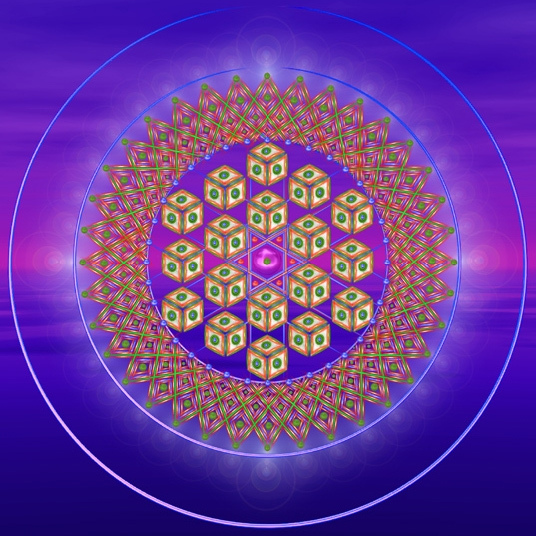 You are now in this spiral movement Sacred circle wheel. Follow your breath awareness to allow and surrender whatever comes in such as a situation, person, sound, fragrance, symbols artistic expression of Magical Playfulness flow – just observe as the drop, ripples or waves of the Sacred Water passes by. Move your toes, fingers and all parts of your body whilst you stretch out and open your eyes. 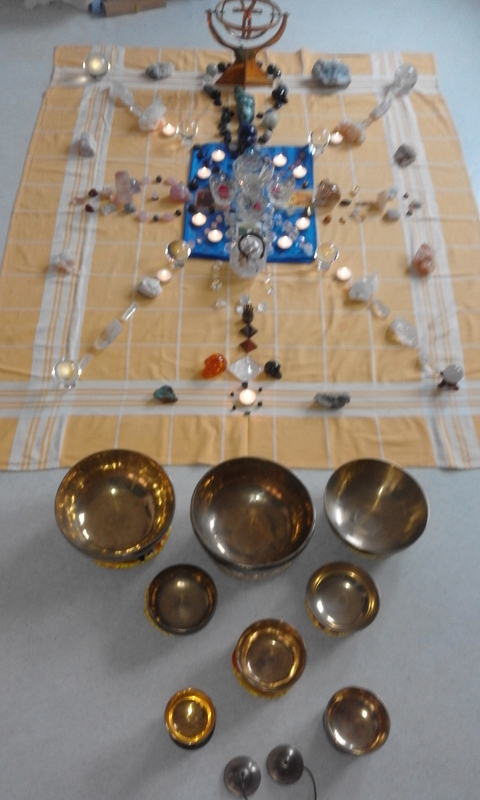 If you have any questions or are called to join in this Worldwide Project “ Water Sound Transformational Essence” please contact Carla at CHarren@kpnplanet.nl or via Skype Carla.harren (Heerhugowaard, The Netherlands).